To complete this little trilogy of burial customs we’re going to Ireland. 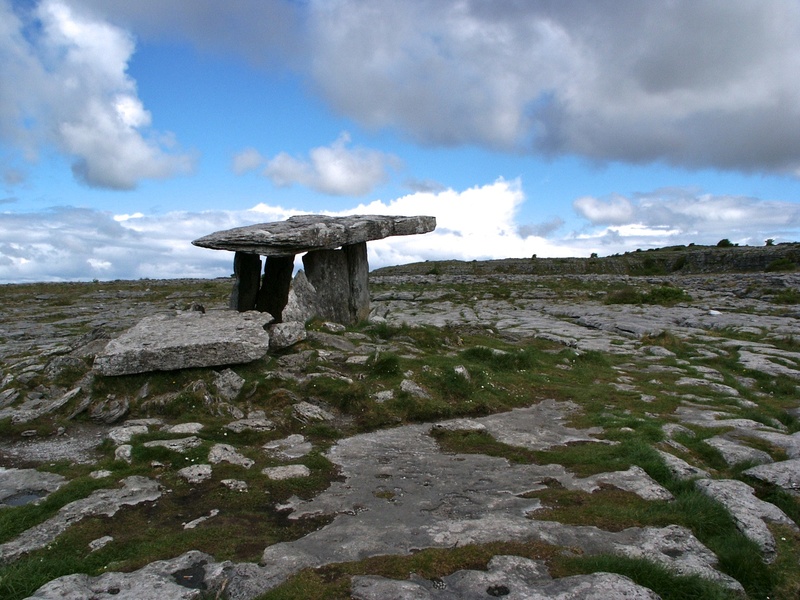 One destination that was on our list was a region known as The Burren. They are, believe me, aptly named. Miles of steep hillsides running down to the sea that are covered with rocks. Little to no vegetation. Barren. 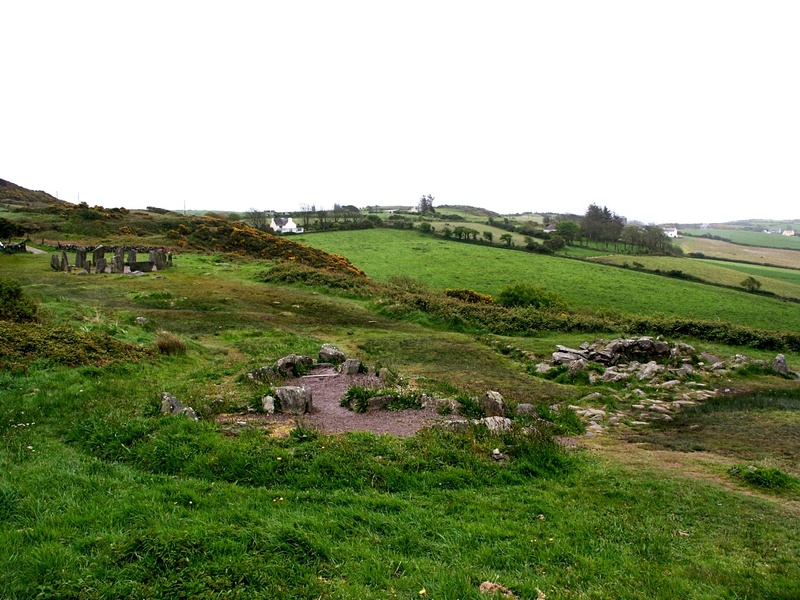 In Ireland there are these brown arrow signs to sites of interest. We got quite skilled at following them to our destinations and this was one of those occasions. They led us away from the coast to, basically, the middle of nowhere. 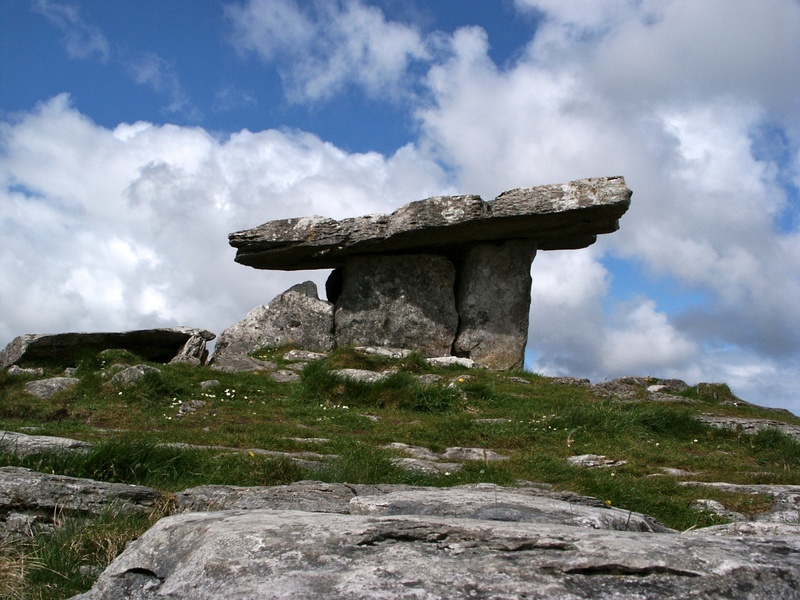 Our goal was an ancient burial site known as The Poulnabrone Dolmen. It’s a stone-age site (Neolithic, actually), kind of like a mini-Stonehenge, that sits a few hundred yards off the road. We were there on a strikingly beautiful day with blue skies dotted with clouds and we had the place to ourselves. It’s truly surreal: this arrangement of rocks sitting in the middle of a vast field of stones. When you get to it you realize that it’s only about 5 1/2 feet high…you have to crouch inside of it. But looking at it you can’t help but wonder at the motivations that drove the construction of this monument, a non-trivial task if ever there was one. According to Wikipedia, there are between 16 and 22 adults and 6 children under there. And here we are, 5-7 thousand years later, visiting their resting place. Maybe that’s why they built it. Those brown signs I mentioned earlier were quite a help. On more than one occasion we pulled a u-turn after seeing one and would wander down these tiny roads until we came to something: a castle, a circular stone fort or even a small stone circle set in the middle of working fields. 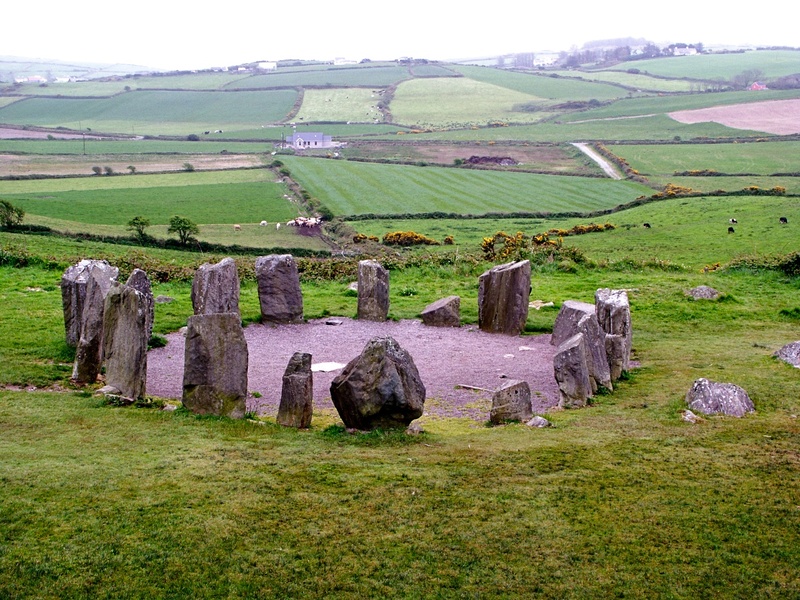 The Dromberg stone circle wasn’t very big but it was pretty representative of the circles to be found all over Ireland. 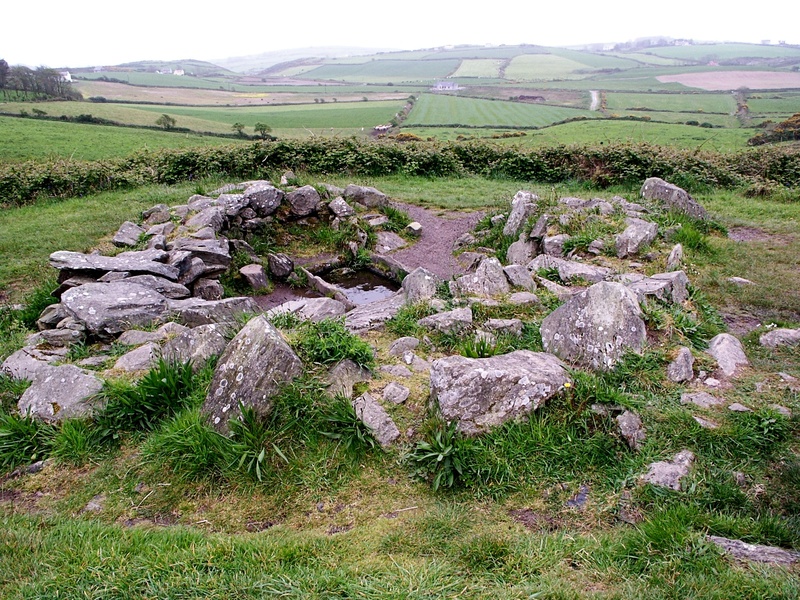 Nearby were the foundations of two huts. There was a pool of water in one into which they would drop hot stones to boil the water. Pretty clever, but a lot of work for a simple thing like hot water.